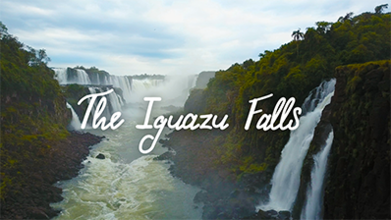 Description: Located on the border of Argentina and Brazil, the Iguazu Falls is one of the largest waterfalls in the world. I was able to see it from both the Argentinian and Brazilian sides, and it was absolutely breathtaking. If you want to see more video of the falls check out the links below. Link to my Travel Vlog: youtube.com/channel/UClnm4LP43k7AkjhdwKrOONA Would be more than willing to license and work with anyone who would like to use this footage.